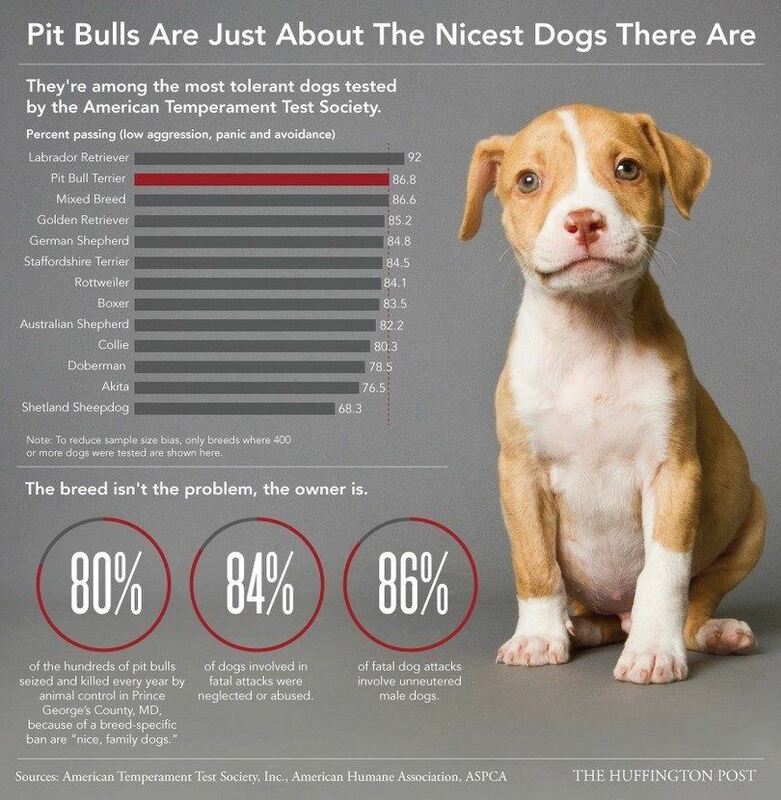 Pitbulls are a very judged and misunderstood group of dogs. Many people love these caring, brave animals, but there is a big misconception amongst some groups of people that pitbulls in general are aggressive. Unfortunately, this means that there have been attempts to ban pitbulls in many cities, with many dogs getting put down just for looking like pitbulls. It is bad breeders and not necessarily bad dogs who are to blame for dogs’ aggressive behavior. The truth is that anyone who is considering buying a pitbull should do a little research first, but there is no reason not to introduce this breed as a pet to your home or family if it is well taken care of. With the right upbringing, pitbulls can be big, gentle, playful dogs that are great for active singles and families. And since we’re celebrating this incredibly lovable breed, be sure to check out some cool gifts for PitBulls, too! 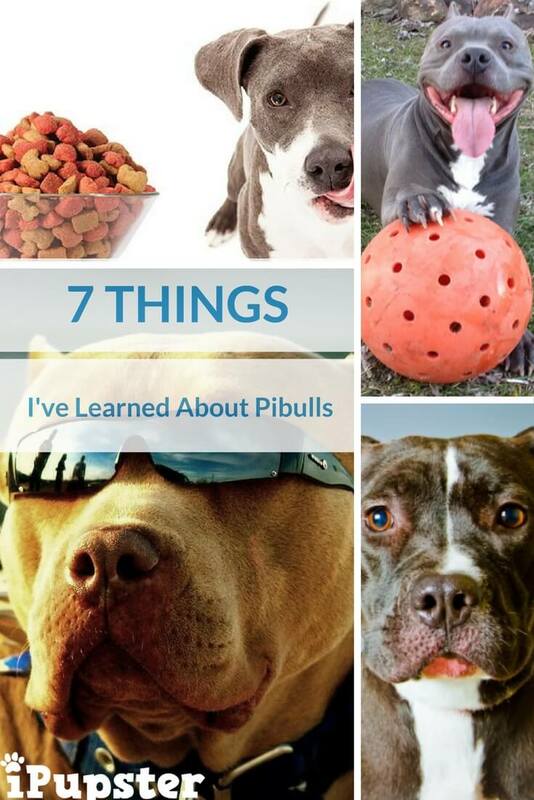 To give you a better idea of the history of pitbulls as a group and what it’s like to own one, here are 7 things I’ve learned about pitbulls. Pitbulls were originally bred as herding and baiting dogs in Europe during the 19th century. They also have a controversial history because they were used in dog fights until the practice was banned years later. At one point pitbulls became popular family pets who acted as ‘nannies’ to children because of their gentle, playful natures. It can be hard to trace pitbulls’ history because it isn’t clear what dogs are used to breed pitbulls. Although they share DNA with bulldogs and terriers, pitbulls are better seen as a category of mixed breed dogs with large heads. This makes the situation complicated when it comes to groups of people persecuting pitbulls and insisting that they be put down, since a lot of dogs look like pitbulls. Pitbulls are generally loving and protective dogs who do well with children, but their temperament does have a lot to do with their upbringing. Responsible breeders only breed dogs with good temperaments and sell pitbulls to responsible owners. Check out this awesome video about Pitties from BuzzVideo. To do their part, owners must try their best to socialize their pitbull with other people, dogs and pets. Pitbulls are smart dogs but they need some extra training so they don’t become too territorial or overprotective. Where problems can come up is when new owners buy a pitbulls from unreliable sources. Since some bad pitbull breeders have been associated with promoting violence and dog fighting, it is important to learn about a pitbull’s history before bringing it into your home. Pitbulls have several instincts that owners should be aware of. First, these dogs have a high desire to please and enjoy being useful. They are intelligent dogs that want to earn their owner’s praise and approval, which is why pitbulls can make great service animals or therapy dogs. Pitbulls also have a relatively high prey drive, since they were bred to herd livestock in the past. This means that owners will have to work hard to socialize their pitbull with other dogs and animals. It can sometimes be hard to keep pitbulls and cats in the same household for this reason, and owners should be aware that their pitbull might try to chase other small animals while outdoors. Over time, there has been so much disagreement about pitbulls that people started their own clubs and groups just to help with their classification. The United Kennel Club was the first recognize the American Pit Bull Terrier, for example. The first dog classified by the UKC in 1898 was the founder’s own pit bull. Since pitbulls are high energy dogs, they eat a relatively large amount of food. Pitbulls should be fed high quality dry dog food to maintain their energy and provide them with a balanced diet that includes all the vitamins and nutrients that they need to thrive. It is recommended that pitbulls be fed a premium brand of dry dog food to maintain their teeth and gum healthy and to meet their dietary requirements. Since all dog food is created equal, pet parents should analyze the ingredient list and protein breakdown of each food before they buy since it can contain potential allergens and protein can be of low quality. Read our article on the recommended best dog food for Pitbulls. Average pitbulls are medium to large size dogs who weigh anywhere from 30 to 90 pounds. Pitbulls are muscular with short hair that does not require a lot of maintenance. Pitbulls come in a variety of colors but are known for their short tails and wide set jaws. Since pitbulls are such high-energy dogs, owners need to be sure that they are getting proper exercise and mental stimulation. This means that owners need to make sure that their pitbulls get vigorous exercise each day. This exercise and other physical and mental will help keep a pitbull happy and healthy, as well as help curb potential destructive behaviors. Since pitbulls are large, strong dogs they can do a lot of damage if they are left at home alone, bored, with too much energy pent up. We’re talking torn up furniture, holes in the walls, and all kinds of other mayhem. Check out our reviews on the some of the best dog toys for Pitbulls﻿﻿ you'll want to have in your arsenal to keep them both mentally and physically stimulated. Like most dog breeds, pitbulls as a group have their own unique set of health problems that they are known for. Being aware of these potential issues as a pitbull owner is good, especially if you are raising a pitbull from a puppy. The American Pitbull Terrier, for example, is known for being predisposed to a range of health concerns including hip dysplasia, mange, allergies, skin infections, and blindness. Pitbulls are also known for having mild heart conditions. This knowledge can be used by owners who want to take steps to prevent these health problems, lower health insurance premiums and can also be used to spot warning signs as they start to develop. For the right owners, pitbulls can make a great addition to their home or family. Pitbulls are naturally loving towards people and affectionate towards children, although they might be a little hesitant to warm up to other dogs and pets. Pitbulls may not be the best choice for new dog owners since they do need a lot of care, discipline and exercise. Overall, pitbulls are not the villains that they are often made out to be by the media and other organizations. When it comes to dogs it is all about how they are raised, and if you raise a pit bull in a loving home it will grow to be a gentle and valued member of the family. I hope you enjoyed our article. Want to share your thoughts or perhaps you might have a question. Either way, let us know by leaving a quick comment below right now.